Our Cape Cod Bed and Breakfast is located in the center of historic Sandwich Village and is part of the Sandwich Town Hall Historic District. This wonderful house was built in 1750 and was in the Hall family from the 1700s until the last descendant sold the property in 1929. For 260 years our house and the Hall family’s lives were woven into the fabric of what makes Sandwich Village such a wonderful place to visit and to live. In previous blogs, I have covered the time from the founding of Sandwich in 1639 until the early 1800s. The 1800s was a dramatic time for both the Hall family and Sandwich Village. 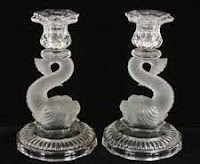 The man who had the most impact on the sleepy town of Sandwich in the 1800s was Deming Jarvis (1790-1869), who is recognized as one of the most famous names in American glassmaking. Born and raised in Boston, by the time he came to Sandwich he was a successful businessman having helped found the New England Glass Company in South Boston in 1818. As a young entrepreneur, he branched out into other related business and was already the holder of various glassmaking patents that advanced the art and science of glassmaking in Massachusetts. 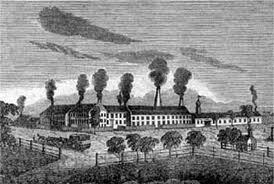 By 1824, Jarvis set out to build his own ‘modern’ glass factory. Jarvis chose the small agricultural community of Sandwich as the site for his new venture. He was familiar with Sandwich Village from sporting holidays; at that time the town was a favorite hunting and fishing retreat for Boston businessmen. So, as early as the 1800, ‘tourism’ was important to Sandwich. Since it was first settled, Sandwich was known as the ‘door to the Cape’ as the few colonial era roads ran through Sandwich, and it was the terminus for the stage lines and mail service. All travelers and commerce from Plymouth and Boston to anywhere else on the Cape passed through Sandwich. The industrious town folks quickly opened taverns like my neighbors in the Historic District, the Newcomb Tavern on Grove Street and the Fressenden Tavern on Main Street, to meet the needs of the travelers. Even today, the Sandwich Chamber of Commerce emphasizes our key geographic location in the slogan: ‘Sandwich…Cape Cod begins here’. On July 4, 1825 Jarvis’ Sandwich Manufacturing Company ‘commenced blowing glass’ and eventually, as the renamed Boston and Sandwich Glass Company, grew to be one of America’s most important sources of pressed glass. It surprised me to learn that Jarvis selected Sandwich for the abundant supply of wood in the nearby forests to burn in the huge furnaces, and the marsh grass used to pack the glass products for shipment, rather than for the sand, which was actually too impure for making high quality glass. The company operated from 1825 until 1888 when it could no longer effectively compete with new and cheaper methods of production in the Midwest. Amazingly, there is nothing left of the massive manufacturing buildings. 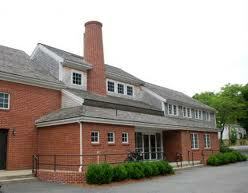 After the factory closed in 1888, the brick buildings were dismantled and the brick reused across Cape Cod. Many of the workers’ houses and stores built in the 1800s remain and can be seen on your way to the scenic Sandwich Boardwalk, which stretches across the marshes where the glass factory commerce once flourished. I always suggest that our guest, on their way to Boardwalk, stop at the corner of Jarvis and Factory and look at the bronze relief map that depicts that intersection in the mid 1800s. Although the original glass plants are gone, examples of Jarvis’ revolutionary new methods of glass making and the history of the industry are recalled at the Sandwich Glass Museum. It is located across the street from our Sandwich Bed and Breakfast Inn on property donated by the last of the Hall decedents, Lottie Hall Chipman. Our guests enjoy reliving these great moments in the history of Sandwich. Daily, the museum offers a movie about the first 300 years of Sandwich and live glass blowing demonstrations at its’ fully functional glass furnace that is kept burning 24 hours a day. The Sandwich Glass Museum, Sandwich Village, and the 1750 Inn at Sandwich Center will be decorated for the holidays. It is worth the trip to see our great historical neighborhood in all it festive glory. See the Sandwich Chamber of Commerce website for a schedule of holiday events and our Inn website for our holiday special.